The recent approval of spirulina helps complete the natural color rainbow. Sensient's natural blues can stand alone or mix with other colors to create shades of green and purple. Synthetic color additives have long been available in the three primary colors: FD&C Red 40, FD&C Yellow 5 and FD&C Blue 1 — which also form the basis of most other colors, thanks to a little bit of chemistry. But natural reds, yellows and blues have not been easy to come by, making it just as difficult for manufacturers to achieve violet, green and orange shades. Not only that, but the early generation of natural colors in general had a track record of shorter shelf life, difficult manageability (especially when exposed to heat or changes in pH) and less strength of color in general. All of that is starting to change with the arrival of a rainbow of natural color additives. A February 2014 joint report from Leatherhead Food Research and Mintel Group said the value of natural colors overtook that of synthetic colors globally in 2011, exceeding $600 million dollars. That was a 29 increase just from 2007. The report also predicted sales of natural colors will continue to increase. And the trend is not just in the U.S. Europe has long been suspicious of synthetic colors, and natural colors are growing in countries such as Brazil, China and India. Blue has been a particularly difficult natural color to create, but recent FDA approvals of spirulina, an algae-like aquatic growth, for food use are creating opportunities. “Spirulina is currently the only blue that would be considered 'natural,' ” says Jeannette O’Brien, key account manager in the Redwood City, Calif., office of GNT USA Inc. All of GNT's colorants come from vegetables, fruits or other edible plants. The FDA approved spirulina for coloring candy and gum in 2013. Earlier this year, the agency expanded approval into a longer list of food products. "This opens up the color rainbow for more than just blue, but green, violet and lavender. It opens up a whole new rainbow of colors for different applications,” she adds. O’Brien says products that will now be able to achieve a robust and natural blue color include ice cream, frosting, frozen desserts, gelatin and pudding, among others. Sensient Colors LLC, St. Louis, offers a "complete color spectrum of clean label, bright and stable natural blues and greens," according to Mike Geraghty, president of Sensient's Color Group. 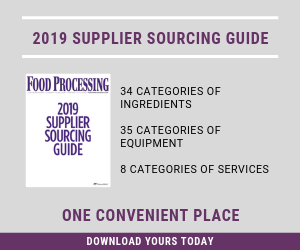 "Developing formulations from three unique natural blue sources, including Spirulina, and a patent pending process application, we can offer our customers even more shades of blues, greens and purples with superior performance across all food and beverage applications." The recent upswing in the economy also is helping. People who have the money are looking for more from their products, especially cleaner labels, says Rajesh Cherian, product manager for natural colors and lab manager at Roha USA Ltd, St. Louis. While a clean label and even the word "natural" are not completely or officially defined terms yet, people are seeking out products that fit those profiles. Clearly the goal is to contain ingredients that come from natural sources such as red beets, vegetable juices, purple carrots, etc. Many consumers would not consider genetically engineered plant sources natural or part of a clean label. To that end, Sethness Products Co., Skokie, Ill., recently introduced a line of non-GMO Class I caramel colors, known as SB121 Liquid Caramel Color, manufactured from non-genetically modified cane sucrose. But don't count synthetics out. “While natural colorants have been gaining share, demand continues to be strong for synthetic (certified) colorants due to their high tinctoral strength, bright colors, consistent lot-to-lot color and superior color stability over natural colorants,” counters Bobby Gruber, sales manager for dyes at Emerald Performance Materials. “Some [customer] are looking for a natural red color that would be heat stable when it comes to baking,” adds Cherian. “I don’t really see a natural, bright red color with baked goods.” Similarly, strong red natural colors are not suitable for items with a pH less than 4.5, such as with ice cream, frozen desserts and dry powered drinks.